In the few decades since the end of the Cold War, the Globalization Age has heralded a new era of volatility, uncertainty, complexity and ambiguity. The neo-liberal model of international relations, in place since the middle of the last century and anchored by the Breton Woods institutions, is crumbling, yet new forms of global governance have yet to be established. Power is shifting inexorably from the North Atlantic to the Asia Pacific and from states to a host of new players – corporate, non-governmental, supra- and sub-national. In the emerging heteropolar world order, quite unlike the multi- or bi- polar days of yore, today the sources and vectors of power and influence are defined more by difference than by similarity, and a populist surge has been engendered in reactionary response. Risks are multiplying, and remedies are elusive. We have entered terra incognita and diplomacy, facing an existential crisis, has failed to keep up. How, then, has the media contributed to these trends? The contemporary media landscape is characterized by chaos in the infosphere. In both the conventional and new media, hard news and careful analysis have given way to infotainment and sensationalism – if it bleeds, it leads. As the late American media theorist Neil Postman famously remarked, “we are amusing ourselves to death.” Fake news, alternative facts, belief, emotion and conviction have triumphed over evidence, data, and rational analysis. Witness the rise of the commentariat, the explosion of satellite TV and internet sites, and the dominance of national or ideological POV (point of view) coverage. Think Russia Today (RT), Fox News, and a host of others. Smart phones have turned everyone with a handset into an instant reporter, producing free feed which has sent the business model for professional journalism, with its commitment to fact checking, objectivity and balance, into a tailspin. Media ownership has become more concentrated, even as the choice sources has become more fragmented and profuse. This combination has served mainly to produce a galaxy of echo chambers for the like-minded. What was once just a matter of selling audiences to advertisers has morphed into the bundling and packaging of subscriber information for public and private sector clients. Facebook, Google, Apple, Twitter, Verizon and other big telecoms all colluded with intelligence agencies, while the likes of Cambridge Analyticia and AggregateIQ pioneered new forms of political data mining and assessment. Just as Julian Assange, WikiLeaks and “Cablegate” provided a Napster moment for governments – secrets are now near impossible to keep – Ed Snowden’s revelations underlined the end of communications confidentiality and privacy for the public. Enter the surveillance state, and welcome to the post-truth age. Diplomats must now confront a staggeringly vast media universe. Digital literacy and technological savvy have become essential. On the input side, on-line resources can function to provide information, insight, and intelligence. On the output side, social and digital media represent a vital tool in the exercise of persuasion and influence, allowing a supple form of triangulation between envoys, populations and the receiving state. This is public diplomacy (PD), and it relies upon connecting directly with foreign populations and forging partnerships with civil society in order to convince, rather than coerce host governments to act in accordance with the wishes of the sending state. The internet has emerged as a new political centre and is the flagship of globalization; ever-increasing levels and proliferating platforms of connectivity have effectively de-territorialized national and ideological space. Yet too many foreign ministries remain stuck in the last century, still wed to press releases and photo-ops. None of that can substitute for wide-ranging and strategic digital engagement,. Although many diplomats now use the new media, those activities are rarely in an integrated, coherent and strategic context, and the results have proven very difficult to measure. Within western governments – and not least in Canada – there is scant sign that this message has resonated, or even registered faintly. Mired in hypocrisy and beset by contradictions, most administrations are thrashing about in a thorny thicket of chronic underperformance and face a crisis of credibility, if not legitimacy. Get to global governance. The Breton Woods institutions represent a bygone era and are foundering. Think disastrous military interventions in Afghanistan, Libya and Iraq, disarray in NATO, the serial failure of neoliberal economic prescriptions, paralysis at the UN and the implosion of the ill-starred G-7 Summit in Charleviox. There has been some institutional renewal (the G-20, Asian Infrastructure and Development Bank, Shanghai Cooperation Organization) and progress (the African Union and ASEAN), but none of it is nearly enough. Heteropolarity, globalization and shifting power won’t wait. Up the diplomatic game. As a non-violent approach to the management of international relations characterized by dialogue, negotiation, compromise, representation and problem solving, diplomacy is part art, part science and part alchemy. At a time when the world’s most serious challenges – climate change, pandemic disease, environmental collapse, to name a few – are immune to the application of armed force, diplomacy is needed more than ever. You can’t send out an expeditionary force to occupy the alternatives to a carbon economy, or garrison against Ebola, or call in an airstrike on a warming planet. But in North America, and in much of South America, Europe, and Africa, foreign ministries are under-resourced (if not gutted) and in crisis. Diplomacy’s business model and organizational structures are in desperate need of radical reform, rigorous innovation and substantial reinvestment. Subscription to a binary world view: everything is perceived as black/white; good/bad; win/lose. From rigid alignment during the Cold War with the “Free World” or the “Commies” to today’s equivalent of “you’re with us or with the terrorists”, there remains no place for subtle shades of grey. Characterization of the overarching threat as universal and undifferentiated: the enemy is everywhere and it’s all the same. The Soviet Union, China, Viet Nam, Cuba, Nicaragua, North Korea and others once constituted the ubiquitous “Red Menace”. Now it is ISIL, Al Qaeda, their affiliates, plus the Taliban, Hamas, Hezbollah and many more who together are treated as an ever-present source of dread and are reputed to endanger everyone, all of the time. Militarization of the international policy response: reach first for the gun, maintain a permanent war footing, and rely on the politics of fear to engineer domestic support. Few will forget the fearful symmetry of containment, deterrence, proxy war and Mutually Assured Destruction; fast forward to the present and find the endless War on Terror – drone assassinations, counterinsurgency, and the proliferation of bases, “stabilization operations” and special forces. Combine the persistence of a simplistic world view with a blunt, but far reaching assessment of the threat, and you have an international policy prescription for permanent defense dominance at the expense of diplomacy and development. They are diminished as the Leviathan grows. For analysts of contemporary international relations, perhaps only one thing is clear: this is neither the world envisioned by the signatories of the Atlantic Charter, nor that of the post-Cold War triumphalists. As a result of continuing globalization (the defining historical process of our times) and heteropolarity (the emerging world order model), power is shifting and the operating environment for diplomacy and foreign policy is undergoing profound transformation. Emotion, conviction and ideology, thriving in the echo chamber of the social and digital media, and are now privileged over facts, evidence and rational assessment. 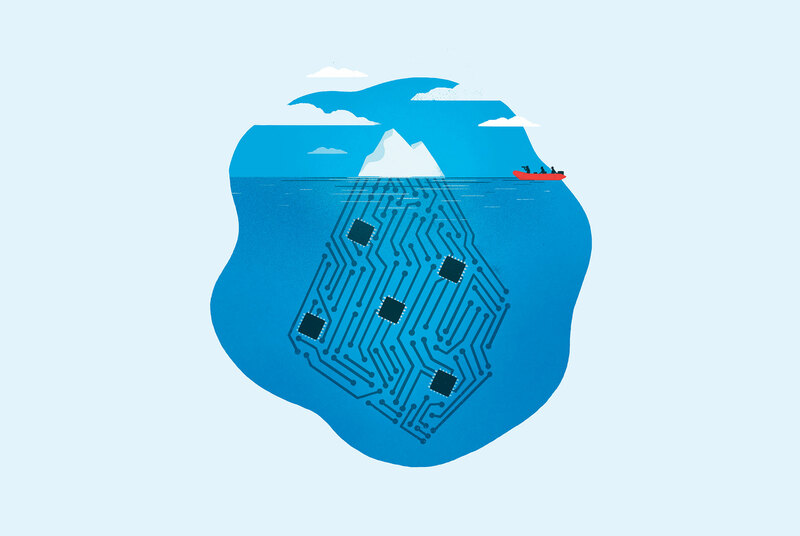 Big Data, Artificial Intelligence, Quantum Computing and Robotics constitute new frontiers, but the lasting implications are largely unexplored. We have entered terra incognita, and the risks are multiplying. Under pressure from a staggering array of vexing, S&T-driven, transnational issues – the new threat set – state-centricity in international relations is waning fast. The lack of an effective institutional response has revealed a global governance gap of striking magnitude. Donald Trump, abetted by a clutch of retreaded generals and assorted other barbarians inside the gates at 1600 Pennsylvania Ave, has accelerated the decline of America’s global prestige and influence. This has created a vacuum; rising Asia, and in particular China and India, has emerged as the primary beneficiary. Brexit, internal divisions, and the rise of xenophobic, right-wing populism in many parts of Europe have preoccupied the EU. Just when the world most needs the moderating influence of a strong and united Europe, both the organization and its members are looking inwards at precisely the time that they should be looking out. Shaky institutions, toxic politics, and a wavering commitment to democracy, human rights and the rule of law have prevented a number of potentially significant powers from achieving anything close to their promise. Brazil, South Africa, Mexico, Egypt, Nigeria, and a host of other countries remain on the sidelines as the status quo crumbles. All of this has been complicated by the persistent machinations of a cunning, calculating, and increasingly bold Russia intent upon reasserting itself as a great power. The bear is wide awake, and hungry. Add to that the spectacle of a demented eagle unable to fly, a dragon foraging far and wide, tigers on the prowl … The erstwhile global village is looking more like a zoo – if not the intergalactic bar in Star Wars. Bottom line? Analysts and decision-makers today face the daunting challenge of navigating in uncharted spaces, of identifying and managing multiple vulnerabilities, and of responding to the strategic imperative of converting adversity into opportunity. Redefinition of purpose and structure. Recast the mandate and mission of Global Affairs Canada to create a central agency for the management of globalization and the integration of international policy across government. Functioning at a higher level will require some fundamental re-engineering, legislative action, and a more sophisticated approach to the use of social and digital media. To better generate intelligence and to take full advantage of the vital connection to place, the reform package should feature a more flexible approach to representation, and a smaller, flatter, more focussed headquarters, with more foreign service and an enlarged role for missions abroad. Identification of strategic priorities and interests. Since the last over-arching international policy review in 2005, the global operating environment and landscape have become almost unrecognizable. The implications for Canada of power shift from the North Atlantic to the Asia Pacific, the emergence of a heteropolar world order, and the explosive growth of Big Data have not been thought through. Add to that the outstanding questions about managing a growing number wicked, transnational, S&T-based threats, ranging from climate change to pandemic disease, and it becomes evident that a full and fresh assessment is overdue. The appointment of a Departmental Science Advisor, the restoration of analytical capacity and charging the department with developing an international science strategy and plan would represent a beginning. Cultural transformation. Foreign ministries are renown for their authoritarian social relations and hidebound adherence to orthodoxy. After almost 10 years of battering – with little resistance – in the face of the Tory onslaught, greater openness and transparency will not come easily. Many existing executives are more comfortable with international treaties than with branding. Some of the clever courtiers who thrived on managing upwards will likely find it difficult to make the transition from risk aversion to risk management, and from following orders to rewarding experimentation and extracting knowledge from failure. Nonetheless, the days of ambitious careerists getting ahead at the expense of those they supervise, while specializing in making the boss look good, must end. Ditto for blessing the received wisdom, judging ideas by their provenance rather than their quality, and, often under the guise of team playing, engaging in corporate cloning. Continuous learning – including from failure – and an openness to experimentation represent a more promising way forward. Leadership transfusion. Any properly functioning foreign service must retain a rotational core, post abroad and promote from within the ranks, and wherever possible support long-term career planning. That said, to enlarge professional development opportunities and to augment expertise in certain specialized areas, a degree of cross-ventilation is required. Clearly, more than a few of today’s senior officials who prospered during the dark decade achieved their positions by stifling dissent and otherwise acceding to the draconian strictures imposed by the Harper government. These are not members of a leadership cadre required to offer fearless policy advice, speak truth to power, or to otherwise deliver an activist, innovative foreign policy. Through a more targeted approach to recruitment and an expanded program of secondments and exchanges both within and outside of government, now is the time to turn the inside out and bring the outside in. To weed out chronic underperformers and ensure personal and professional adaptability, make demonstrated managerial proficiency outside the foreign ministry a pre-requisite to promotion into EX group or assignment overseas as Head of Mission. Organizational flattening. In an era of lateral partnerships, connectivity and networks, GAC’s organizational structure serves to impede innovation and discourage creativity. The Department’s hallmarks remain its rigid hierarchy, insularity and jealously guarded fiefdoms. In 2017 the department has as many layers between desk officers and the minister’s office – at minimum, seven – as it did when I joined the foreign service in 1981. This costly and inefficient model slows bureaucratic process and disempowers those at the working level who are closest to the issues and actually know the files. The foreign ministry would benefit from fewer stovepipes and silos, and the encouragement of multiple professional identities. For the Head of Mission, this may mean new fashioning a role as a coach, a country or regional brand manager, a network node rather than top dog. Foreign ministries will never become Silicone Valley style idea incubators or “skunk works”, but absent movement away from the cathedral in the direction of the bazaar, progress in building a more modern, effective and supportive workplace will be impossible. Tapping new networks. Connect directly with members of burgeoning diaspora communities and harness the potential of this largely untapped resource for political (intelligence), commercial (market access) and scientific purposes. Initiate the targeted recruitment of first and second generation Canadians pre-equipped with vital language and cross-cultural skills. Assign political officers to major Canadian cities with a mandate to forge productive and mutually beneficial relationships based upon cooperation with, and respect for diaspora communities. Engage civil society by renewing long-neglected partnerships with universities, think tanks and NGOs at home and abroad. Reinstate sponsored visits by foreign opinion leaders and rebuild international education programs to dramatically increase the numbers of both foreign students in Canada and Canadians studying abroad. Flexible overseas representation. The connection to, and knowledge of place are diplomacy’s indispensable features; representational rebalancing and re-profiling are essential. But the days of cookie cutter chancelleries and fixed models governing the establishment and operation of missions abroad are long past. Contemporary circumstances demand the design of smarter, lighter and sometimes more fleeting diplomatic footprints, including storefronts, souks, barrios, banlieues. World cities and major capitals may warrant high visibility and a distinctive physical presence, but in other cases portability, adaptability and the avoidance of lingering legal and administrative overheads will be crucial. As bricks give way to clicks, Canada will need at least as many brass plaques on hotel room doors as it does gates on permanent diplomatic premises. Manuals, regulations and standard operating procedures need to make space for virtuality, improvisation and imagination. Enlightened diplomatic practice. In conflict zones and elsewhere there will always be a place for traditional diplomacy, with designated envoys transacting the business of governments among themselves, often in confidence. However in the 21st century, as engagement, advocacy and lobbying have become increasingly determinant in securing desired outcomes, it is public diplomacy , abetted by burgeoning use of the social and digital media which arose from the revolution in information and communication technologies, that has become mainstream. Science diplomacy, a specialized sub-set of public diplomacy especially attuned to grand challenges such as management of the global commons and the control of weapons of mass destruction, is particularly relevant. Elevate science diplomacy, which remains almost invisible within the current mix of available tools, to top priority status, and reallocate resources accordingly. Absent the robust pursuit of knowledge-based, technologically-enabled solutions to the vexing array of S&T-rooted issues which together constitute the new threat set, Canada will be unable to achieve its promise as an evidence-driven problem solver. This country was once a leader in these areas, but now trails the pack. That must change, with GAC, in close association with science-based departments and agencies, equipped to lead the way forward. Clearly, some demonstrable diplomacy of the deed will be required if the Government of Canada is re-establish its liberal internationalist credentials. But for that to happen, a fundamental rethinking of international policy directions will be essential. The once storied foreign ministry – and indeed the entire diplomatic ecosystem – needs a major overhaul. This is now job one. Canadians have been promised a progressive, activist and engaged foreign policy. Yet apart from the fact the diplomatic corpse has been running mainly on fumes, expecting that kind of performance from today’s GAC is something akin to asking a nearly brain-dead former athlete, ignored for years and left on a gurney in the hallway, to get up and run a marathon. With limbs shrunken and torso emaciated, muscles atrophied and reflexes dulled from years on life support, this won’t happen unless reconstruction and relief are provided. While the discussion at the conference was under Chatham House Rule, as a former diplomat and (record?) five term elected member of PAFSO’s Executive Committee – and even though I wasn’t invited to speak – I was delighted to know that PAFSO is thinking about the future of foreign service. Such an exercise is timely and relevant, given that in the face of the new threat set facing humanity (climate, biodiversity, global commons, pandemic disease, alternative energy, and food and water security, to name a few), diplomacy is our best bet. There are no military solutions — these issues are immune to the application of armed force. That said, when it comes to diplomatic practice and institutions, there is much work to be done. Time to raise the bar, and up the game. And while diplomats are certainly already working to improve the foreign service — OpenCanada recently reported on the efforts to make the service gender balanced, for instance — I have additional advice for diplomats currently working in the field. Here are five steps each can take to improve the quality of our foreign service immediately. Cultural diplomacy writ large: Is Canada anywhere to be seen on the world stage? Blogger’s Note: On December 14, 2017 I appeared before the Senate Foreign Affairs and International trade Committee to provide testimony on the place of culture within Canada’s suite of international policies and relations. A lengthy Q&A session followed my oral presentation, the transcript of which may be found below. Many thanks for the kind invitation to share my thoughts with you on this important matter. When I was reflecting on the subject, I was drawn to what might be considered a radical assessment, at least in the sense of a fairly high level of analysis of trying to get to the roots of three key issues which I think are in play today. I’m going to set out my argument in terms of background, foreground and a conclusion, a bit like a briefing note. I would like to begin by posing three of what I think are the most fundamental questions. When we speak of culture, diplomacy and science, what exactly do we mean? In each case, if at all, how are these big blocks of human enterprise interrelated? Culture is perhaps the most all-encompassing yet amorphous of the three concepts, but it is not airy-fairy and fuzzy. In fact, it can be defined or understood as a collectivity of the norms, customs, characteristics, traditions, artistic expression and behaviour of human groups. It’s transmitted through social learning, which I think is key. Science, which is often regarded as dense and impenetrable, is an empirical, objective and evidence-based method of knowledge creation which through interrogation, trial and error, and rigorous analysis provides systematic insights into the nature of things. Its methods include postulation, experimentation, data analysis and theorizing. Diplomacy, sometimes described as the world’s second oldest profession and usually terribly misunderstood, is actually an approach to the management of international relations characterized by dialogue, negotiation, compromise, problem solving and complex balancing. Its tools include soft power, the power of attraction, advocacy, persuasion and influence. Let’s dig deeper by unpacking and examining the connections among and between these three critical but too often misunderstood aspects of Canadian foreign policy.